UN Secretary-General Urges Recalling the Parliament ! 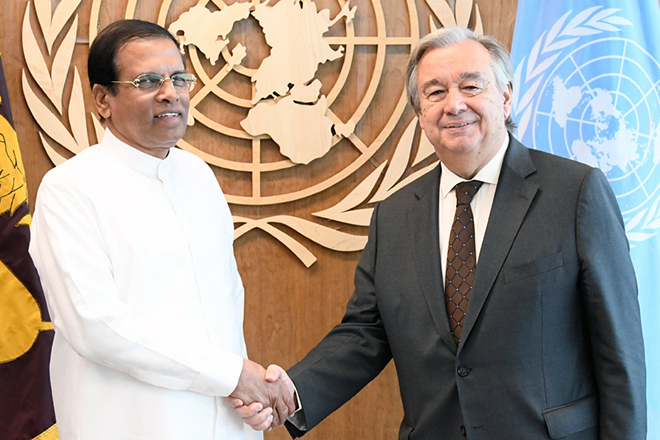 It is reported that UN Secretary-General Antonio Guterres emphasized President Maithripala Sirisena to reconvene the parliament through a phone call. The United Nations has issued a statement on this. Meanwhile the presidential media unit says, President Maithripala had told the secretary that he has appointed Mahinda Rajapaksa as the Prime Minister using the powers vested in him by the Constitution of the country. It also says that the conversation between the President and the Secretary-General was ended in friendly manner with an offer to assist the president any time he requires. “The Secretary General had a telephone conversation with President Maithripala Sirisena on November 1st. The Secretary-General informed the President that he was following the latest developments in Sri Lanka with concern and offered assistance in facilitating a dialogue with all the parties to resolve the situation. He emphasized the Government’s responsibility to ensure peace, security and respect for the rule of law. The Secretary-General urged the President to revert to Parliamentary procedures and allow the Parliament to vote as soon as possible. 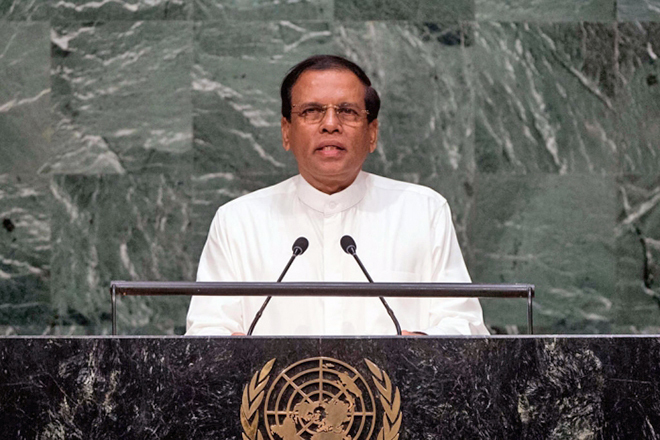 President Maithripala to Address the United Nations’ General Assembly on 25th.